I got this book from a friend. Originally I had simply borrowed it, but then she said I could just have it since she never read it. It didn't disappoint! Every person in this book realized something profound from his or her experience; hopefully, this lesson will be passed on to you and spare you similar pain. At the very least, you will know as you read these stories that you are not alone in the world with the challenges you face. May you find comfort, hope and inspiration in the courage, strength and faith of the teens who have bravely shared their stories with you in this book. This book has it all! Whether you have a normal life with not many obstacles, or you're like me and have had your share of trials, this book has a story for you. Many of the individuals I can relate to. The stories don't gloss over any of the hard details; they share the experience as-is. These teenagers went through terrible situations but many of them are using them for good. This book is an inspiration. 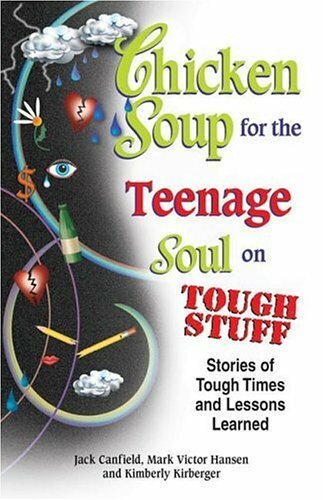 Another great Chicken Soup book! I've always loved the Chicken Soup series..Quite attached to it coz my brother gifted the 1st copy to me..
Hi there! Dropping by from SITS to say, "Hello!" and "Happy Friday, SITSta!" It is nice to "meet" you.